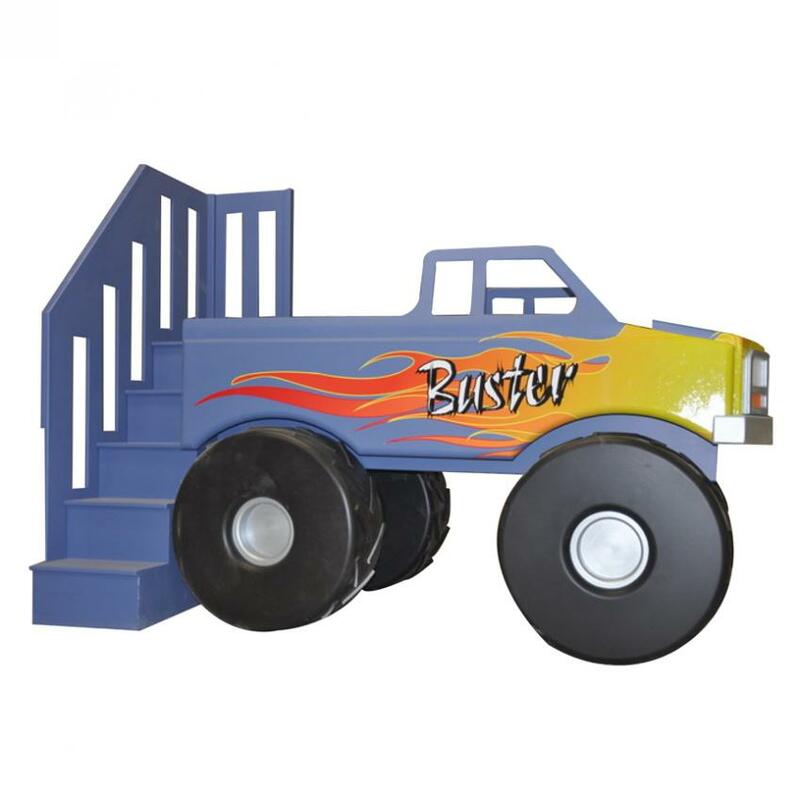 Price: $2,995.00 Pricing Options Below - See Dropdown MenusThis Monster Truck kid's bed is a little boy's dream. It accommodates one twin size mattress and has access to the elevated truck bed from a staircase on the back end. You can choose a custom color for the bed. We can even add your son's name to the custom flame graphic. 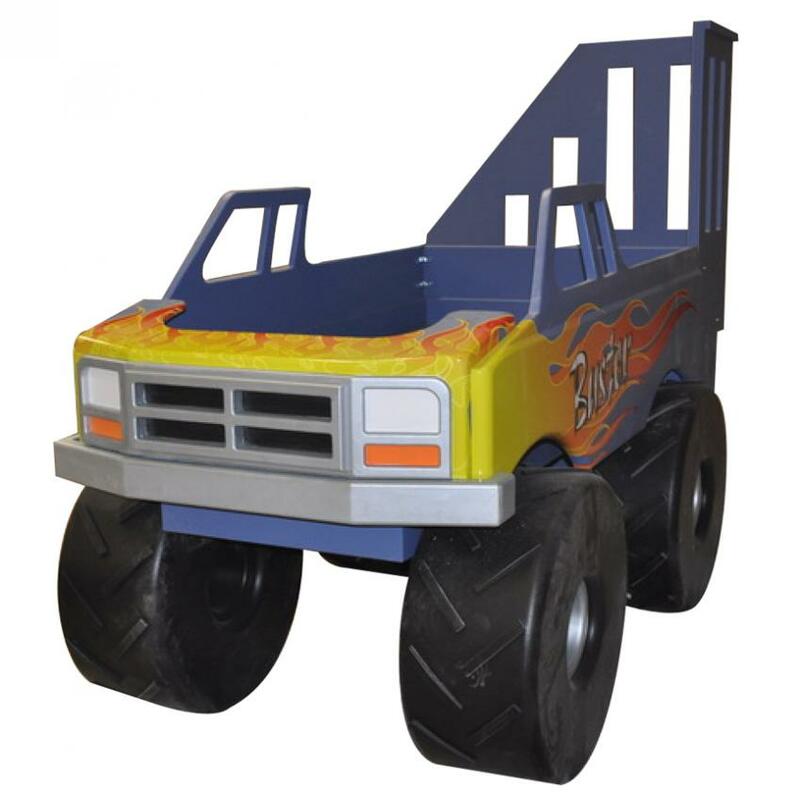 Finally, we can flip-flop the design if you would like the monster truck bed facing the opposite direction. Boys, rev your engines. The Monster Truck Rally is about to begin. Full Description This Monster Truck kid's bed is a little boy's dream. It accommodates one twin size mattress and has access to the elevated truck bed from a staircase on the back end. You can choose a custom color for the bed. We can even add your son's name to the custom flame graphic. 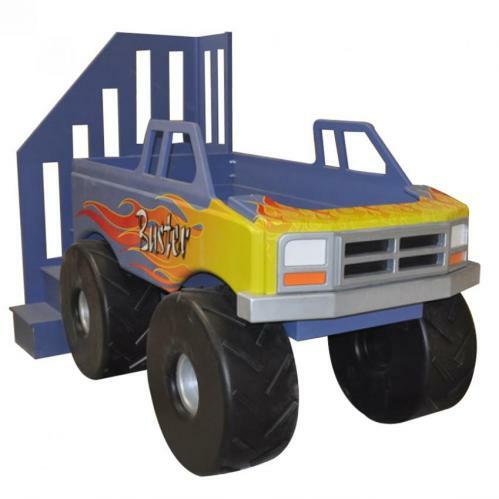 Finally, we can flip-flop the design if you would like the monster truck bed facing the opposite direction. Boys, rev your engines. The Monster Truck Rally is about to begin.